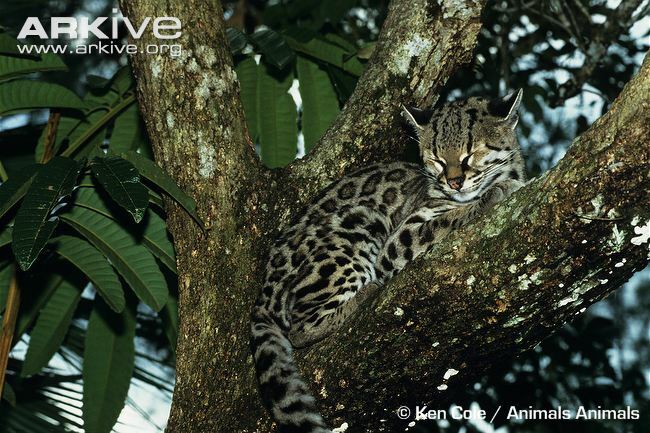 The amazingly agile Margay (Leopardus wiedii) occupies the dense forests of Latin America. 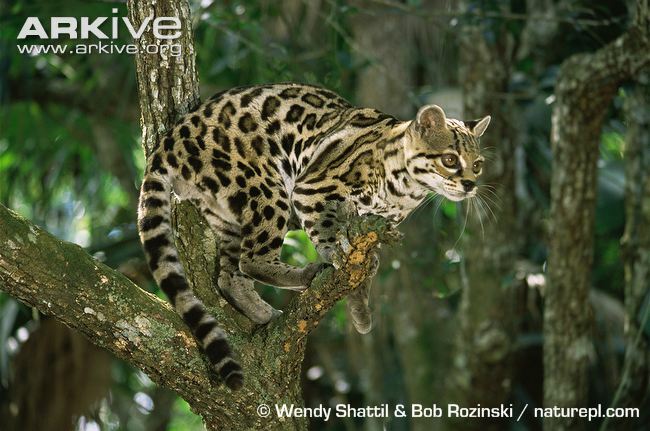 Due to their flexible joints and long tail the Margay navigates the tree tops almost like a monkey. 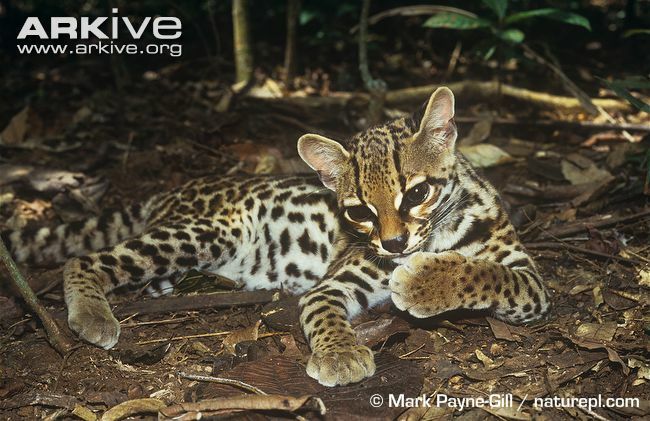 Similar in markings to the Ocelot, the Margay was once heavily exploited for the fur trade, but more recently deforestation of its primary habitat has become the biggest threat to this cat's survival. 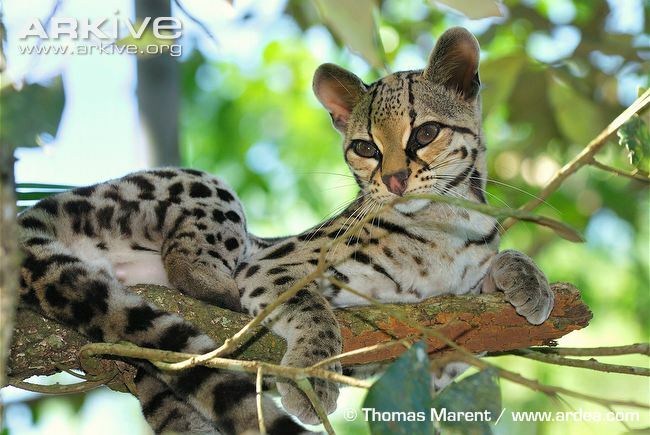 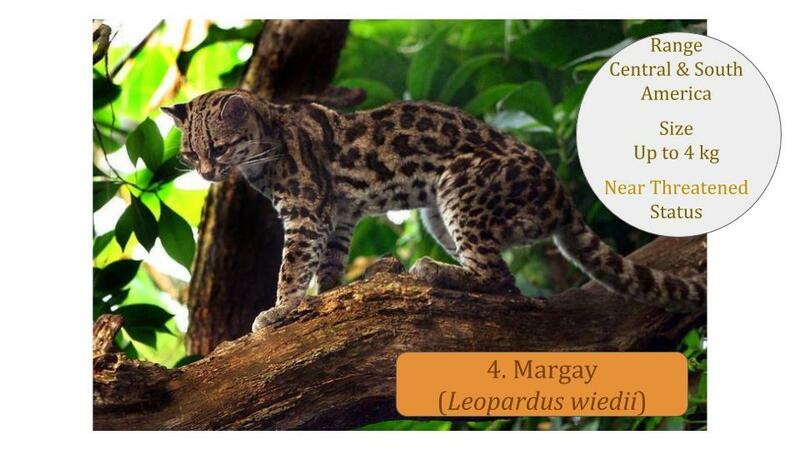 The global conservation status for the Margay is Near Threatened (NT) and populations are declining. 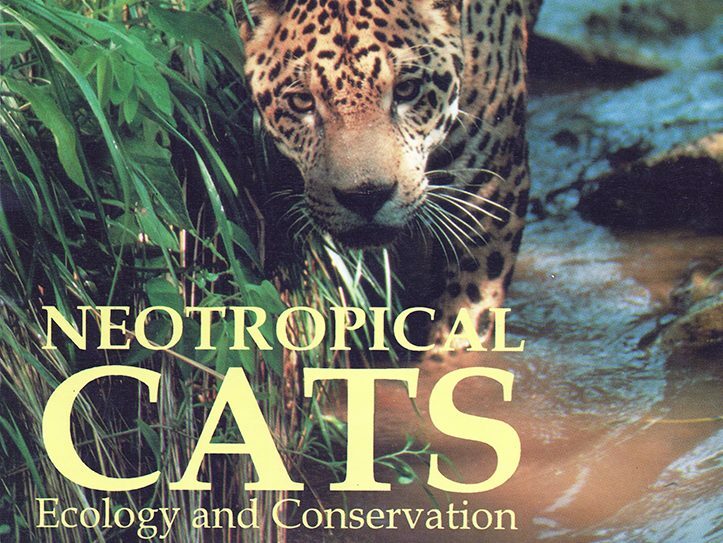 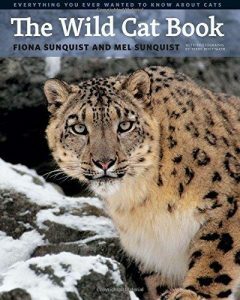 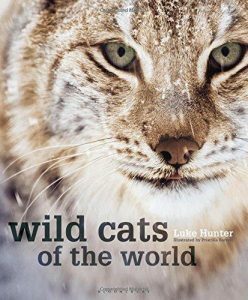 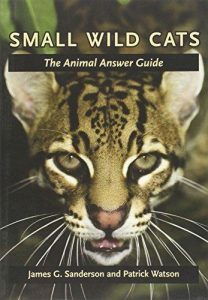 The latest information on these cats can be found in books covering all wild cats such as those shown below.